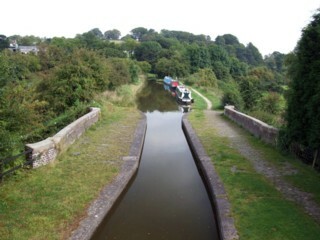 Hazelhurst Aqueduct seen from Hazelhurst Turnover Bridge No.3. 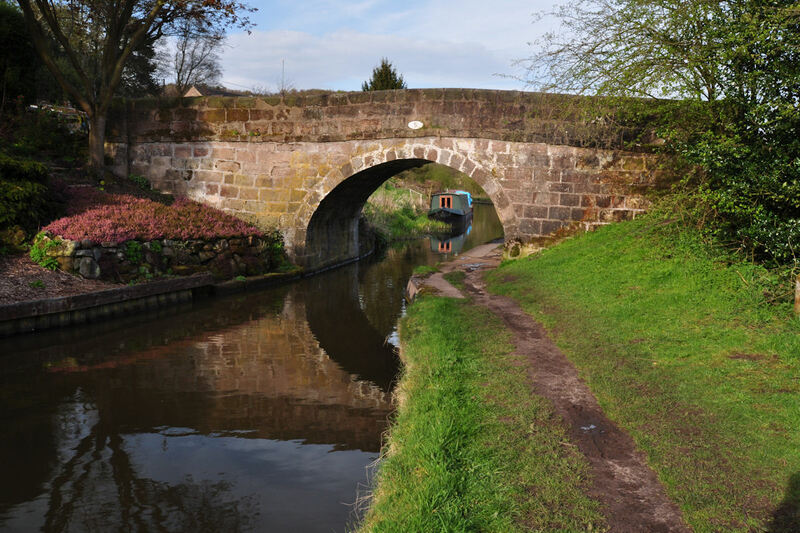 Le Pont Canal d'Hazelhurst vu du Pont de Halage n°3 d'Hazelhurst. 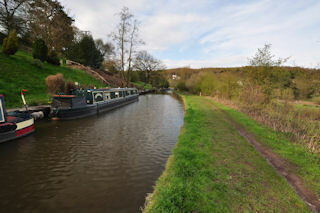 Hazelhurst Aqueduct seen by Google Earth. Le Pont Canal d'Hazelhurst vu par Google Earth. 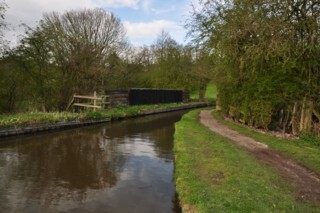 Denford Rail Aqueduct seen from the South. Le Pont Canal Ferroviaire de Denford vu du Sud. 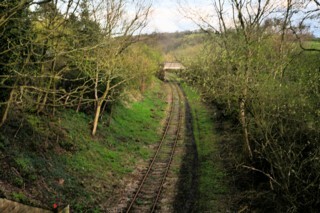 Denford Rail Aqueduct seen from the North. Le Pont Canal Ferroviaire de Denford vu du Nord. Denford Rail Aqueduct seen by Google Earth. Le Pont Canal Ferroviaire de Denford vu par Google Earth. 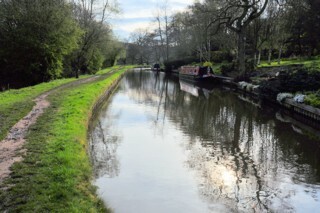 Looking to the West, the Leek Branch of the Caldon Canal seen from Denford Rail Aqueduct. 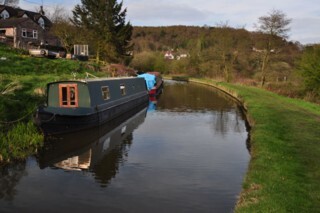 Les regards ports vers l'Ouest, la Branche de Leek du Canal de Caldon vue du Pont Canal Ferroviaire de Denford. 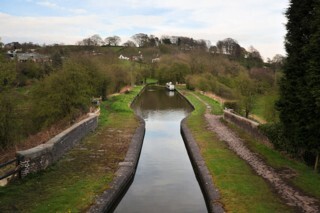 Looking to the East, the Leek to Stoke-on-Trent railway line seen from Denford Rail Aqueduct. 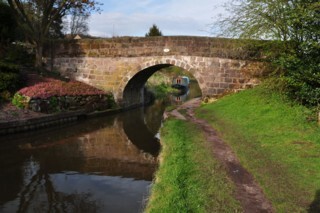 Les regards ports vers l'Est, la ligne de chemin-de-fer Leek à Stoke-on-Trent vue du Pont Canal Ferroviaire de Denford. 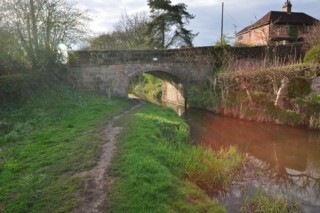 Hardy's Bridge No.4 seen from the West. Le Pont n°4 d'Hardy vu de l'Ouest. 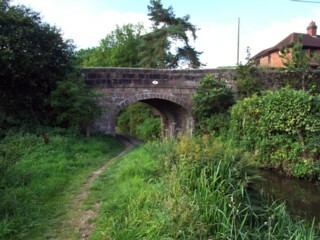 Hardy's Bridge No.4 seen from the East. Le Pont n°4 d'Hardy vu de l'Est. 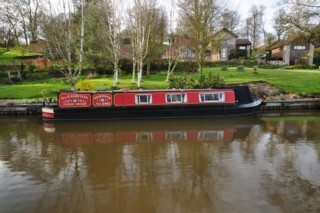 Hardy's Bridge No.4 seen by Google Earth. Le Pont n°4 d'Hardy vu par Google Earth. 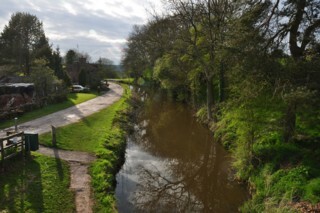 Looking to the West, the Leek Branch of the Caldon Canal seen from Hardy's Bridge No.4. 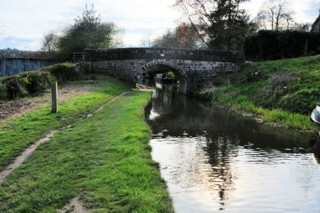 Les regards portés vers l'Ouest, la Branche de Leek du Canal de Caldon vu du Pont n°4 d'Hardy. 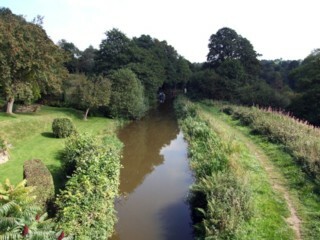 Looking to the East, the Leek Branch of the Caldon Canal seen from Hardy's Bridge No.4. 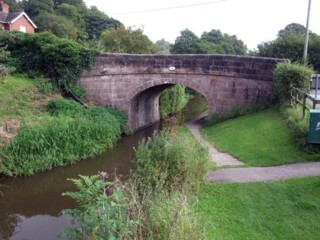 Les regards portés vers l'Est, la Branche de Leek du Canal de Caldon vu du Pont n°4 d'Hardy. 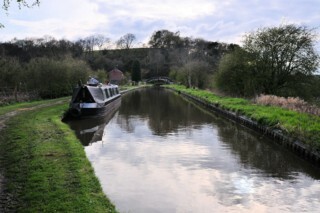 Looking to the East, the Leek Branch of the Caldon Canal to the West of New Springs Bridge No.5. 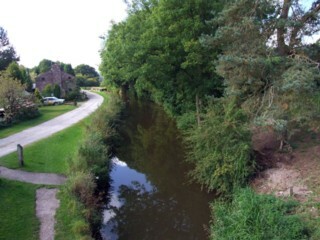 Les regards portés vers l'Est, la Branche de Leek du Canal de Caldon à l'Ouest du Pont n°5 de la Nouvelle Source. 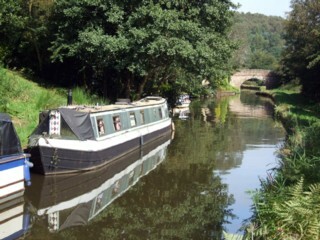 Mooring to the West of New Springs Bridge No.5. Amarrage à l'Ouest du Pont n°5 des Nouvelles Sources. New Springs Bridge No.5 seen from the West. Le Pont n°5 de la Nouvelle Source vu de l'Ouest. New Springs Bridge No.5 seen from the East. Le Pont n°5 des Nouvelles Sources vu de l'Est. New Springs Bridge No.5 seen by Google Earth. Le Pont n°5 des Nouvelles Sources vu par Google Earth. 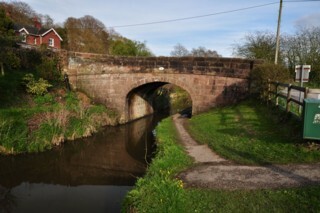 Looking to the West, the Leek Branch of the Caldon Canal seen from below New Springs Bridge No.5. 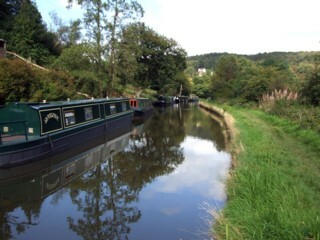 Les regards ports vers l'Ouest, la Branche de Leek du Canal de Caldon vue de sous du Pont n°5 des Nouvelles Sources. 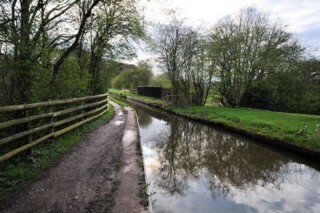 Looking to the East, the Leek Branch of the Caldon Canal seen from below New Springs Bridge No.5. 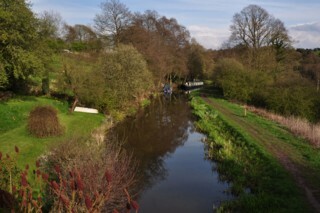 Les regards ports vers l'Est, la Branche de Leek du Canal de Caldon vue de sous du Pont n°5 des Nouvelles Sources. 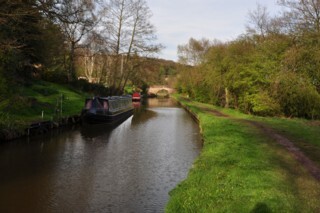 Looking to the East, the Leek Branch of the Caldon Canal to the East of New Springs Bridge No.5. 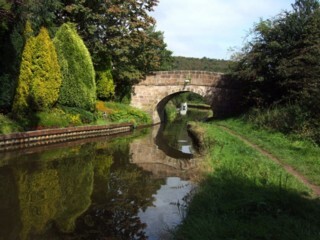 Les regards portés vers l'Est, la Branche de Leek du Canal de Caldon à l'Est du Pont n°5 des Nouvelles Sources.